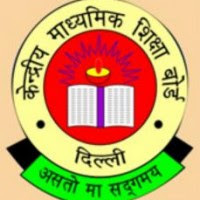 The Central Board of Secondary Education, Delhi will be conducting the Central Teacher Eligibility Test (CTET) for a person to be eligible for appointment as a teacher for classes I to VIII on 28.07.2013 (Sunday). Candidates can apply only On-line for CTET-JULY 2013 on CBSE/CTET website. Note:- 7 days grace time i.e. up to 29.04.2013 for receipt of Confirmation Page will be allowed to the candidates belonging to remote areas viz. Arunachal Pradesh, Assam, Manipur, Meghalaya, Mizoram, Nagaland, Sikkim, Tripura, Lahaul and Spiti District and Pangi Sub-Division of Chamba District of Himachal Pradesh, Andaman & Nicobar Island and Lakshadweep. i The CTET shall apply to schools of the Central Government (KVS, NVS, Tibetan Schools, etc) and schools under the administrative control of UT of Chandigarh, Andaman & Nicobar Islands, Daman & Diu and Dadra & Nagar Haveli and NCT of Delhi. Education, Home Science, Work Education, etc. the existing eligibility norms prescribed by the State Governments and other school managements shall be applicable till such time the NCTE lays down the minimum qualifications in respect of such teachers. Pattern of Examination The CTET examination will be of objective type Multiple Choice Question (MCQ’s). There will be no negative marking. There will be 2 papers of CTET.  Confirmation Page received after last date of submission i.e. 22.04.2013 will not be accepted irrespective of the date of their dispatch. CBSE will not be responsible for any Postal delays/LOSS.  Candidates must follow instructions strictly as given in the Information Bulletin on the websites. The candidature of Candidates not complying with the instructions shall be summarily rejected.  Through Challan by deposit of prescribed fees in CBSE Account with Syndicate Bank or e-Post Office in favour of Secretary, Central Board of Secondary Education, Delhi. c) After Depositing Fee in the Bank/e-Post Office, the Deposit Slip bearing Application Registration Number, Name and Address of the Bank Branch with Branch Code/Post Office with Pin Code where fee is deposited and transaction ID number be kept ready with you while logging on to website for final submission of Part-II of the Application Form.